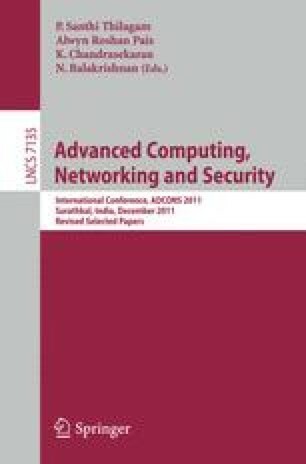 A Mobile Adhoc Network (MANET) is a self-configuring infrastructureless network of mobile devices connected by wireless links with routing capabilities. A MANET needs a special mechanism to bear with its ad hoc behaviour. In this paper, a set of heterogeneous nodes in WSN (Wireless Sensor Network), that have different functionality with specific purpose have been considered. These nodes are distributed across the environment and they send the outcome of events that occur in nature. In this network each node has to send a request/response to a Base Node (BN) where all requests/responses are evaluated and the required values are computed for the end user. This activity requires middleware service oriented architecture, Image Processing and Video Processing. Hence this network is fully dependent on the services of middleware in WSNs. The noticeable outcome values or flags are passed on to a special system called Rescue and Crime Information System (RCIS) where all filtered and computed values or flags are displayed in this system with severity of events and required information. The proposed architecture provides universal solutions for most of the natural disasters and criminal activities that occur frequently. Hence this information provided by the RCIS is very essential and effective in handling disasters and crimes.